When it comes to creating a brand and a corporate image there is no doubt that the role of our office is quite important. It is therefore quite normal for us to find out ways and means by which we can keep our office in the best of shape and looks. We would not mind spending big money on our office and appoint the best of interior decorators and architects. 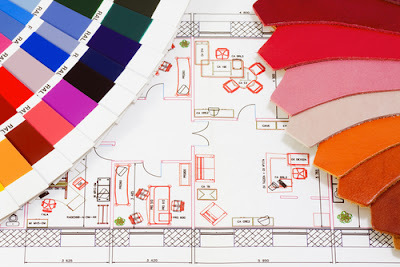 However, we should be bear in mind that there are some unwritten rules when it comes to choosing colors and shades when it comes to painting our office. There are quite some common opinions and perceptions when it comes to selecting colors and when we plan painting our office. In fact most these unwritten rules are myths rather than facts. Hence it would be not be a bad idea to have a look at eight such myths which are not exactly based on facts but are rather based on hearsays and deep rooted beliefs which have no basis and are not supported by facts and logic. The earlier we get rid of these myths the better it will be for us and it will help us to give a great look and shape to our office. This is perhaps the most common myth that we come across as far as office painting is concerned. There is a common perception that the ceiling has to be white or else the room will look dark and will not open up. While there is no doubt that white could help in better reflection when compared to any other color in your office ceiling, it would be wrong to assume that you must use only white and not other colors. In fact it has been proven that adding some other color to your ceiling could make people look up. This will make your office look much bigger than it actually is. However, for the best effects you must take into consideration the type of wall which you are using. Basing color rules on the shades which are being used may not be the right thing to do. Whenever we talk about color rules we are basing it on its ability to source light into your office room. When we use dark colors in small office rooms it could make your office room look like a cave. To overcome this situation it would be better to use dark shades in the office room but to complement it with doors and windows. 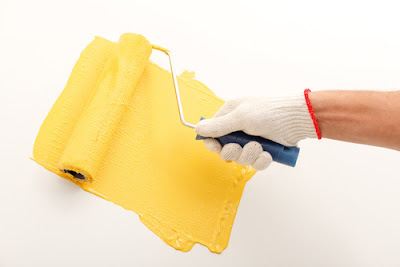 This will help the room to absorb light and make the room reasonably bright. Further you could use bright color as far as the flooring and furniture are concerned. This will help a lot in balancing out the dark colors. Darker colors are often referred to as masculine colors and light colors are considered as feminine. Hence it would be a great idea to have a correct balance to have that perfect marriage of dark and light shades. This is another common myth which does the round as far as office colors are concerned. However, this is not the actual fact and there is no written rule to suggest that it would be wrong to use pastel colors with dark shades. In fact as mentioned earlier if you are able to use the right mix of pastel colors and dark shades you could create a great color combination which could be simply stunning. However, you must know which areas of the office should you use pastel colors and which areas should you use dark colors. Your architect or the interior decorators would be the best persons to guide you on this. Whenever we talk about a corporate culture, we often assume that the entire office and the various rooms should have one common “corporate” color used on the side walls. While maintaining corporate identity is important insisting that no other color should be use is taking things a bit too for. At the end of the day office looks the best only when a number of bright and pastel shades are use. But there should be the corporate colors visible discreetly. Colors and designs go together and this perhaps is the reason why there is an unwritten rule and your colors must be in line with the design rules. In fact the decision must be left to you as the office designer and it must be something that should leave a good taste behind and should motivate and keep the employees in good spirits. You could use your gut feeling rather than being driven by opinions and so called rules. There is another common myth that choosing colors should be done in the morning rather than choosing it in the evening. This is something which might be applicable for homes but here too it is more of some illogical belief than anything else. In fact the choice of colors has nothing to do with day or night. It has got more to do with the room layout as far as the office is concerned. In most offices natural lights are seldom used and therefore this should not be much of a problem. This was the thought around a few decades ago but it no longer is relevant. Today, with offices becoming flat and even cubicle free, it hardly makes sense to have someone higher on the hierarchy to have a unique and separate look. It spoils teamwork rather than building it. It will also spoil the overall symmetry of the office. 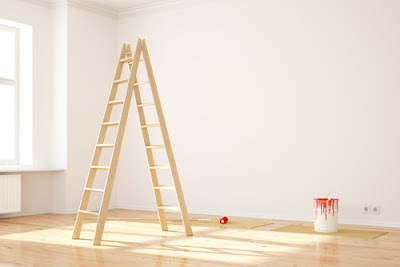 Another common myth is that when it comes to office painting, we should stick to only one style. This again is not based on logics and ground realities. Today’s offices are all about being colorful and bright and being perhaps even unorthodox rather than following straight jacketed rules. At the end of the day, office decoration should be something which should be a mix of both convention and modern day thinking.